Excellent option after a night out or in the morning with a hangover. They deep-fry the pita bread before making the sandwich, not for the faint-hearted but on some occasions, it is exactly what you need. 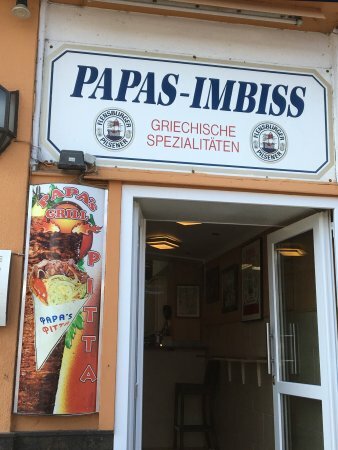 Even if you are a vegetarian, I recommend that you take a quick snack at Papa's if you are in Flensburg. Nice service and lots of customers speak for itself. Papa's is a legend in town. Had a gyro there the other day. Have now tried all three at the port. This one is probably the best. A legacy and MUST try Pita joint !! Get quick answers from Papa's staff and past visitors.